From urban sophistication to airport convenience. Rolling terraced grounds with city views. What can we help with? Avoid the stress of traffic and hassle of airport parking and get comfortable with a Sheraton Cavalier Rest and Jet package. The Sheraton Cavalier Calgary Hotel is located just 10 minutes away from the Calgary Airport and one hour away from the Rocky Mountains. The newly renovated hotel offers sweeping views of the city's ever-expanding skyline, and easy access to the local business district, Calgary Saddledome, Calgary Zoo, Calaway Park, and more.Enjoy our 24-hour airport shuttle or free parking before you sink into the luxurious comfort of our Sheraton Sweet Sleeper (TM) Bed. At the Sheraton Cavalier Calgary, out of town doesn't mean out of touch. Stay connected to what's important to you with our lobby "connection destination", the Link. During your stay, you'll have access to complimentary WiFi, PC workstations, printing, and more. The Sheraton Cavalier Calgary Hotel is located just 10 minutes away from the YYC Calgary International Airport and one hour away from the Rocky Mountains. 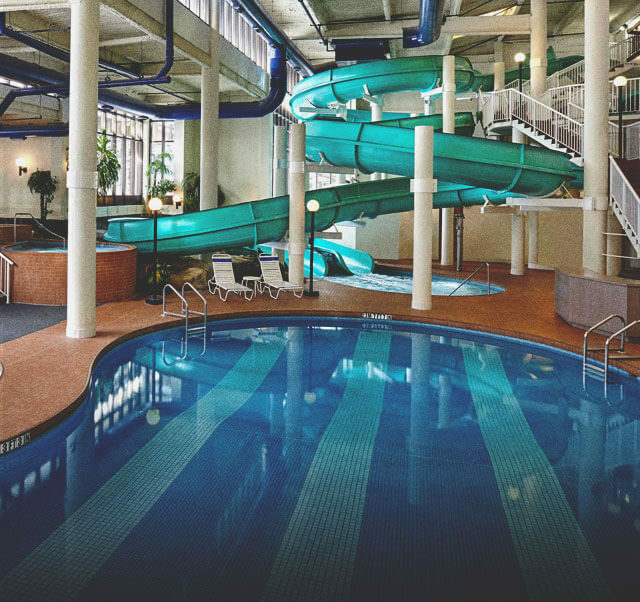 The hotel offers sweeping views of the city's ever-expanding skyline, and easy access to the local business district, Calgary Saddledome, Calgary Zoo, Calaway Park, and more. Relax in comfort at the guest rooms with access to amenities like complimentary wi-fi, coffee maker, and mini-fridge. Then rejuvenate the body at the Sheraton Fitness Centre before finishing the day with delicious meals at the high-end Carver’s Steakhouse. 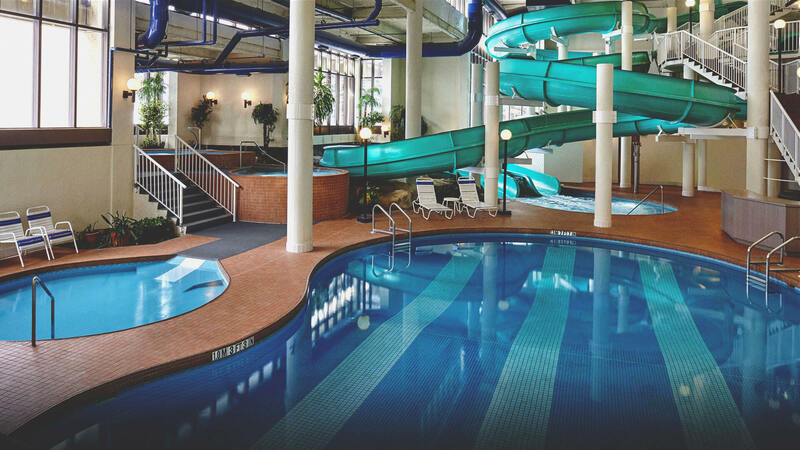 Before you sink into the luxurious comfort of the Sheraton guest rooms, splash around in Calgary's largest hotel water park, Oasis River Country, featuring two giant waterslides, swimming pool, hot tubs, saunas, and more! The hotel is 6 km away from Prairie Winds Park, the home of the Country Thunder Music Festival and many other events.